A sweet, golden almond paste to decorate cakes, ideal for home baking and cake decorations. 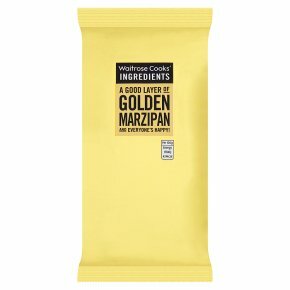 A good layer of Golden Marzipan and everyone's happy! INGREDIENTS: sugar, almonds (25%), wheat glucose syrup, water, invert sugar syrup, colour (lutein).